We “Coracle Infotech India Private Limited”, also work in data entry offline and online services, as we know that data generation is continuous and never ending processes in the world, so it is also a very important task to achieve by the organization and individuals, so that our forthcoming generation can generate the knowledge information on behalf of this data stored in good design, and can further do research for nation or individual benefit and also can apply this knowledge by making itself to grow rich as it become possible for the time. 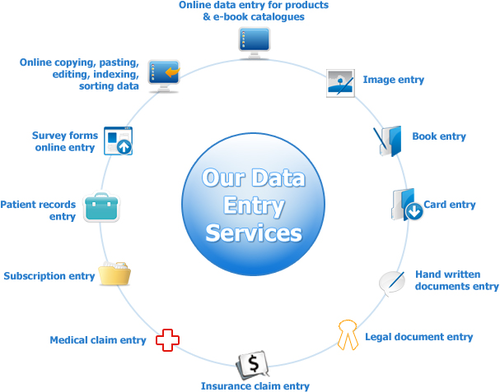 We feel proud and good luck to our company, that it’s our first client for data entry services was “AAM AADMI PARTY, INDIA”, and still we are providing services to him in many ways, and will do so for a longer time, up-to while they will give chance to us. If you are the organization and working in the world for human humble cause or the cause related to human benefit, as well nation benefit then we are always available with you and can work for you on your desirable cost. We will also promote you online for such humble cause across the globe.